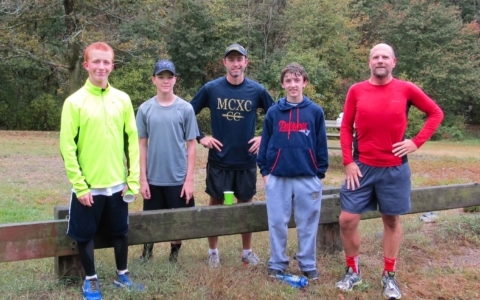 Friends of the Fells inaugural trail run a success! Friends of the Fells board chairman Rich Sanford with members of the Malden Catholic cross-country team. 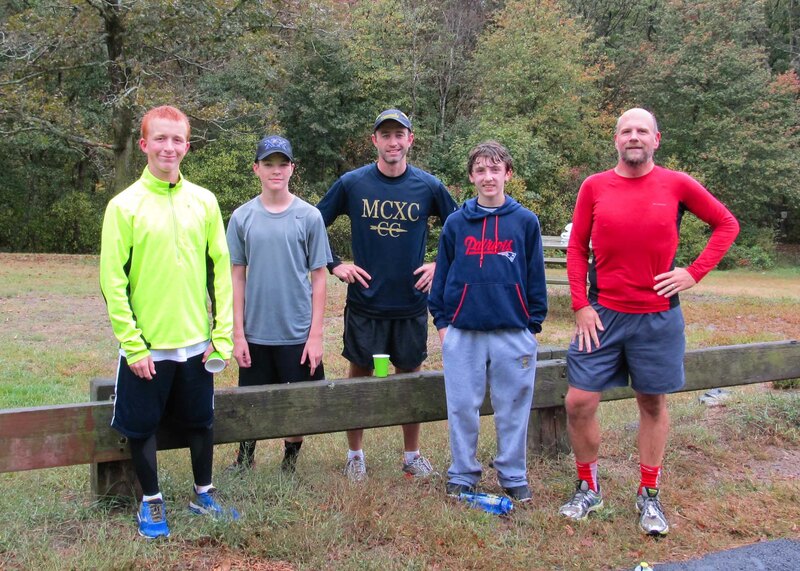 Cool, damp weather did not discourage 8 intrepid runners from taking to the trails on October 3rd for the first in what we hope will be many Friends of the Fells trail runs. 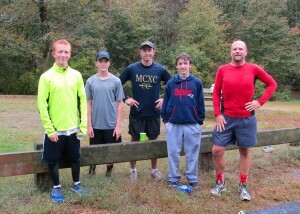 After some brief introductions, we ran the nearly 6 miles of the Reservoir Trail, finishing in just over an hour. Throughout that hour I heard the voices of trail runners from different local running communities exchanging stories and laughs as they got to know one another (and got to know the Fells a little better). At the end of the run we shared some water and muffins before the chill wind drove us off to our other commitments of the day. For now we’ve scheduled these runs for the “First Saturday” of each month, though we hope to add additional dates as we go forward. We would like to co-host some of these with the various local running groups who love running in the Fells. As we develop a regular following, we plan to branch out into more esoteric trails and routes (marking them and/or posting volunteers to ensure no one gets lost). We also may add other elements such as water breaks, fitness breaks, coaching/advice and/or stopwatch-timing. All of those elements will require some additional connections and volunteers. If you are interested in helping us to grow this program please contact rich@friendsofthefells.org to offer your support. Either way, I will see you out on the trails on the morning of Saturday November 7th, if not before!